This is the fourth Tomten I've made since just before Christmas - such a gorgeous combination - pale blue Angoretta and a small bit of that mysterious chenille in green/blue someone gave me! 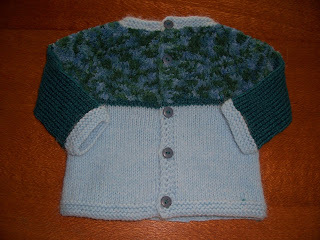 The buttons were absolutely perfect - an exact match with the chenille - how lucky can you get? Found them in my button box - had totally forgotten they were there! Another Soft "N" Seamless Sweater - I had enough of the aforementioned Chenille left to do the yoke, and one 50 gram ball of Angoretta in a pale-blue-nearly-aqua colour - unfortunately, not enough for the sleeves, so used a dark forest green instead for those - it does look nice. Another little cotton set for a newborn - in Cleckheaton Fiddle-dee-dee. I bought ten of each colour on ebay recently - it is so soft and yet nice and nubbly - 100% cotton nice and cool for little babies. This is the finshed but as yet not sewn up Baby Albert Jacket - I've wanted this pattern forever - and just before Christmas found I had enough Reward Points on Your Voice Surveys to get a $50 voucher on D Store! So I bought "The Knitting Experience: Book 1 - The Knit Stitch by Sally Melville" just for this particular pattern - and the rest of the book is wonderful too! Not just for beginners either - I've learnt a few tricks already - never too old or too late to learn! 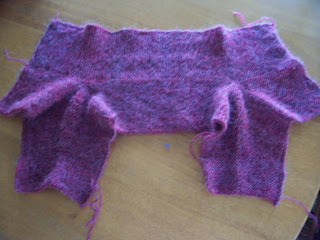 The colour isn't quite right - it is more of a burgundy colour - the yarn is Villawool Saturn, 68% acrylic, 27% mohair and 5% wool. Oh, so soft and cosy, not at all scratchy and ideal for a little one to keep toasty warm on a cold day. She just had a little boy last week! The Tomten above is for my friend Ferda in Turkey who has a little boy due in March. I am now working on a summery set for him, for when he is a bit bigger. Oh yes, for my $50 voucher, I also bought Baby Knits 2 by Debbie Bliss - I had to pay an extra $2 on the bill but oh, I am so happy with these books! Oh so envious. 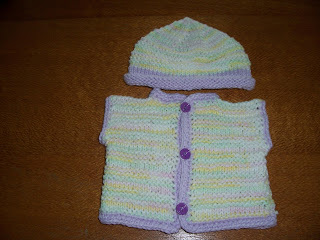 I am one day I am going to knit that baby surprise jacket. Hi Megsy - yes I thought so too!! Elizabeth would have liked this one I think! 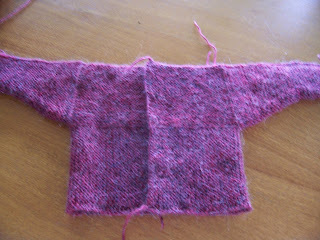 I am going to adapt this pattern though - I want the sleeves straight, and knitted in the round!! 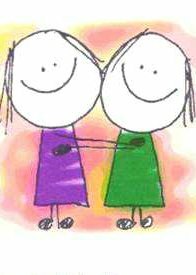 awwwwwwww.. They are ALL so CUTE !!! Love the stockinette version of the BSJ, is the yahoo group still active on the KAL. 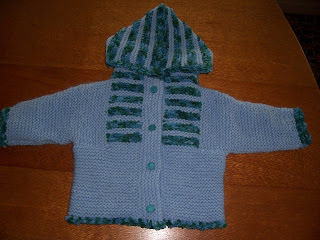 Baby Albert Finished and Another on the Needles! Stocking Stitch Baby Surprise Jacket!